Australian singer Troye Sivan goes one-on-one with Larry, opening up about his coming out process and the future of LGBT acceptance. 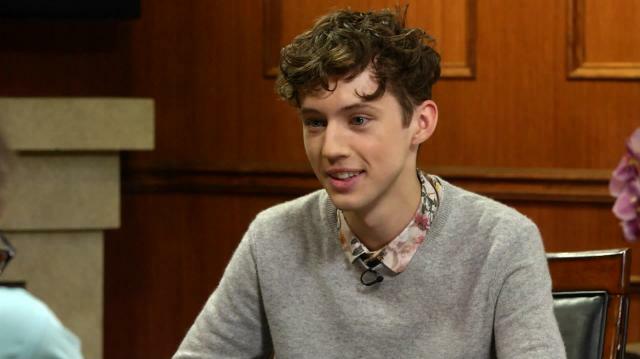 Troye also discusses what lies ahead for his budding music career & infamous YouTube channel. “I was actually singing before that and I kind of fell into acting. A manager found me from LA and I was living in Australia so that was the coolest thing in the world to me. He had done more theatrical stuff then he had music and so he wanted to know if I would kind of giving acting a try and I did. It was actually the first audition that I ever did, was for Wolverine, and I ended up getting the part.” - Troye Sivan on his acting career. “Basically, I got a call from my cousin who lived in South Africa in 2007, so Youtube had only really been around for about a year…He told me that he had seen a video of me on the internet and that was a very foreign concept to me at the time because I didn’t know what Youtube was. And so he told me to check it out and I did and just realized that there was this kind of—it had like a couple hundred views and I realized that there was this potential to put yourself out there and people from all around the world could hear me sing.” - Troye Sivan on his start on Youtube. “It’s pop music, ultimately. I’ve been obsessed with pop music since I was a little kid. At the same time I think I kind of—around probably fourteen or fifteen, had this mind-blowing revelation that pop music can still be interesting and still be cool and doesn’t have to necessarily undermine the audience and like hit them over the head with the chorus or whatever. Pop music, but slightly alternative pop music. Hopefully interesting pop music.” - Troye Sivan on his style of music. “When I go home to Perth, I don’t feel famous. I feel just like any other kid there. I think that it’s such an important part of my life and such an important part of keeping me sane and grounded and reminding me of what’s actually important in life- family and friends and having that security. So I think that that’s kind of the way I’ve managed to stay sane.” - Troye Sivan on how he stays grounded despite his rocketing success.